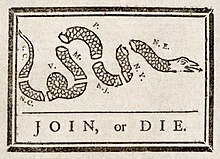 British Crown dragnets of information against smuggling led to the U.S. Fourth Amendment, and U.S. defense against those dragnets was the origin of the Gadsden rattlesnake flag. Those colonial Writs of Assistance were much like that FISA court order for Verizon call logs and the NSA PRISM wide-range domestic communications dragnet, while Senators Feinstein and Chambliss act like the colonial royal governors who issued those Writs. Senators Feinstein and Chambliss admit there is no probable cause, and no particular description of the place to be searched or the persons or things to be seized. This entry was posted in Communication, Content, Corruption, Economics, Espionage, Government, History, National Security, Press, Principles, Privacy, Public Policy, Public Safety, Wireless Internet, Wiretapping and tagged Ben Franklin, Bruce Schneier, call log, CIA, Communication, content, Corruption, Dianne Feinstein, dragnet, Economics, Esek Hopkins, espionage, FBI, FISAA, Fourth Amendment, Francis Bernard, Frank Church, Glenn Greenwald, Government, Guardian, HARVEST NSA NSA, History, James Otis, John Paul Jones, John S. Quarterman, liberty, Massachusetts, National Security, Petition of Lechmere, press, Principles, PRISM, Privacy, probable cause, Project Shamrock, Public Policy, Public Safety, safety, Saxby Chambliss, search, seizure, Thomas Hutchinson, Verizon, warrants, Washington Post, Wireless Internet, wiretapping, writ of assistance on June 7, 2013 by John S. Quarterman. As far as I know, this is the exact three month renewal of what has been the case for the past seven years. 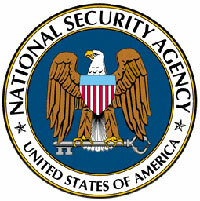 This renewal is carried out by the FISA Court under the business records section of the Patriot Act. Therefore, it is lawful. This entry was posted in Communication, Content, Corruption, Economics, Espionage, Government, History, National Security, Press, Principles, Privacy, Public Policy, Public Safety, Wireless Internet, Wiretapping and tagged Bruce Schneier, call log, CIA, Communication, content, Corruption, Dianne Feinstein, dragnet, Economics, espionage, FBI, FISAA, Frank Church, Glenn Greenwald, Government, Guardian, HARVEST NSA NSA, History, John S. Quarterman, National Security, press, Principles, PRISM, Privacy, Project Shamrock, Public Policy, Public Safety, Saxby Chambliss, Verizon, Washington Post, Wireless Internet, wiretapping on June 7, 2013 by John S. Quarterman. After seven years or more, it’s good people are finally noticing the NSA spying program: now maybe enough people will do something about it like we did in 1977. Decades before 9/11, and the subsequent Bush order that directed the NSA to eavesdrop on every phone call, e-mail message, and who-knows-what-else going into or out of the United States, U.S. citizens included, they did the same thing with telegrams. It was called Project Shamrock, and anyone who thinks this is new legal and technological terrain should read up on that program. Project SHAMROCK…was an espionage exercise that involved the accumulation of all telegraphic data entering into or exiting from the United States. The Armed Forces Security Agency (AFSA) and its successor NSA were given direct access to daily microfilm copies of all incoming, outgoing, and transiting telegraphs via the Western Union and its associates RCA and ITT. Operation Shamrock lasted well into the 1960s when computerized operations (HARVEST) made it possible to search for keywords rather than read through all communications. While artists and designers have discovered there’s no sharp distinction between “real” and “virtual” (aka the New Aesthetic), economists are still talking about “virtual”, even as the networks of computers they’re referring to are exposing the economic externalities the greed of the “first economy” is built on. Well, except for that part about “a computer”. And the flight computers in the airplane. And the FAA computers. And…. While Bruce Sterling can (rightly, I think) say that’s not AI, nonetheless it all happens without much human intervention. And pixelated images of airplanes don’t start to indicate what’s going on in there. This entry was posted in Art, Communication, Competition, Consolidation, Corruption, Distributed Participation, Economics, Education, Food and Drink, History, Law, Politics, Public Policy, Public Safety and tagged agribusiness, agrochemcials, AI, Android, Art, artificial intelligence, Bertrand Russell, Bruce Sterling, Charles Dickens, Communication, Competition, computer, Consolidation, Corruption, Distributed Participation, Economics, Education, employment, externality, farm, food, greed, History, idleness, jobs, John S. Quarterman, Law, leisure, locavore, network, New Aesthetic, non-farm employment, pesticides, poison, Politics, poor, Public Policy, Public Safety, reputation, rich, Wendell Berry on April 13, 2012 by John S. Quarterman. SOPA and PIPA are not dead, as Mikki Barry reminds us. She points at an excellent writeup on why we should care. In China you can’t get to some Internet sites: no Facebook, no YouTube, no Twitter. Search engines can’t find the “Falun Gong” or “Tiananmen Square massacre”. We would never do that kind of blocking here in the US, you say. Well, not so fast. If either House bill SOPA (Stop Online Piracy Act) or Senate bill PIPA (Protect IP Act) or something in between passes both houses of Congress and is signed by the President, Internet censorship, unreachable websites, and forbidden searches will be the law of this land. The Arab Spring has been enabled by the inability of some governments to block Internet communication. 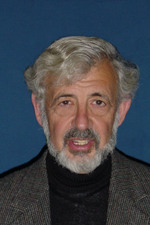 SOPA and SIPA both require that Internet blocking tools be developed and deployed here. Maybe we trust our own government not to misuse these (I don’t! ); but do we really want to be responsible for the proliferation of censorship and blocked communication? Why, you ask, would our Congresspeople want to impose censorship anywhere? Why would they want to slow down the most vigorous parts of the US economy? The answer, at least, is simple. These are bills that Hollywood wants to protect its movies from online piracy, and Hollywood makes mega-campaign contributions and even gives Congresspeople bit parts in its movies. There is nothing partisan about campaign contributions. Why? The DC lobbying revolving door banana republic, of course, made even worse by the SCOTUS Citizens United decision. As for the Arab Spring, the powers that be here don’t want that here. Remember who propped up Mubarak all those decades. When even Patrick Leahy pushes PIPA, something is seriously wrong with the U.S. government. SOPA or PIPA or something watered down that their pushers can claim isn’t as bad will pass unless the people stand up and stop it. This entry was posted in Distributed Participation, Filtering, Government, History, Innovation, International acces, Internet Access, Internet freedom, Internet History, Public Policy, Stifling and tagged Arab Spring, banana republic, censorship, Citizens United, free press, free speech, lobbying, Patrick Leahy, PIPA, revolution, revolving door, SOPA, Tienanmen Square on January 9, 2012 by John S. Quarterman. “Because of the Internet, the truth prevailed. And everyone knew the truth. The day of the protest, the group tried a feint to throw off the police. The organizers let it be known that they intended to gather at a mosque in an upscale neighborhood in central Cairo, and the police gathered there in force. But the …organizers set out instead for a poor neighborhood nearby, Mr. Elaimy recalled. The NY Times story goes into detail about how the online organizing interfaced with and instigated the initial meatspace protests. 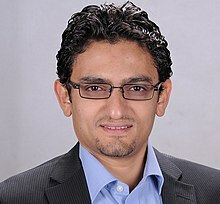 in 2010 75% of the population of Egypt had cell phones (60 million phones in service likely with SMS) possible to message via Facebook via SMS at http://m.facebook.com/. And this was all after similar efforts in Tunisia had successfully exiled their tyrant and inspired the Egyptians, who in turn inspired the Lybians, etc. And what inspired the Tunisians to start was Wikileaks posts of U.S. cables showing the U.S. thought the Tunisian dictator was just as clueless and corrupt as the Tunisians thought. So yes, social networking on the Internet has fomented multiple revolutions. This entry was posted in Corruption, Current Affairs, Distributed Participation, Education, Government, History, International acces, Internet Access, Internet freedom, Internet History, Net Neutrality, Public Policy, Public Safety, Rural Access, Senior Access, Society, Stakeholders and tagged Egypt, facebook, freedom, Internet freedom, Lybia, net neutrality, social network, Tunisia, twitter, Wael Ghonim, Wikileaks on March 15, 2011 by John S. Quarterman. Imagine that when we started Apple we set things up so that we could charge purchasers of our computers by the number of bits they use. The personal computer revolution would have been delayed a decade or more. If I had to pay for each bit I used on my 6502 microprocessor, I would not have been able to build my own computers anyway. I frequently speak to different types of audiences all over the country. When I’m asked my feeling on Net Neutrality I tell the open truth. When I was first asked to “sign on” with some good people interested in Net Neutrality my initial thought was that the economic system works better with tiered pricing for various customers. On the other hand, I’m a founder of the EFF and I care a lot about individuals and their own importance. Finally, the thought hit me that every time and in every way that the telecommunications careers have had power or control, we the people wind up getting screwed. Every audience that I speak this statement and phrase to bursts into applause. We have very few government agencies that the populace views as looking out for them, the people. The FCC is one of these agencies that is still wearing a white hat. Not only is current action on Net Neutrality one of the most important times ever for the FCC, it’s probably the most momentous and watched action of any government agency in memorable times in terms of setting our perception of whether the government represents the wealthy powers or the average citizen, of whether the government is good or is bad. This decision is important far beyond the domain of the FCC itself. This entry was posted in Broadband, Cable, Censorship, Communication, Competition, Devices, Distributed Participation, DSL, Economics, Government, Innovation, Internet Access, Internet freedom, Internet History, Internet Speed, Net Neutrality, Principles, Public Policy, Radio, Regulation, Rural Access, Stakeholders, Telephone, Television, Video and tagged Apple, cable TV, FCC, Internet, net neutrality, radio, telephone, Wozniak on December 21, 2010 by John S. Quarterman. The simple fact is that net neutrality was the condition under which the Internet grew to be what it is today, which is the last bastion of free speech and a free press in much of the world, especially in the United States. The only reason net neutrality is an issue is that the duopoly (telcos and cablecos) succeeded in their regulatory capture of the FCC during Kevin Martin’s term as chairman and did away with much it. The U.S. used to have among the fastest Internet speeds in the world. Since the duopoly got their way, the U.S. has fallen far behind dozens of other countries in connection speeds, availability, and update. While the U.S. NTIA claimed at least one user per ZIP code counted as real service. We can let the telcos and cablecos continue to turn the Internet into cable TV, as they have said they want to do. 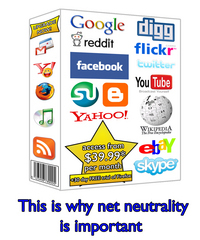 Under the conditions they want, we never would have had the world wide web, google, YouTube, flickr, facebook, etc. And left to their plan, the duopoly will continue cherry-picking densely-populated areas and leaving rural areas, such as south Georgia, where I live, to sink or swim. 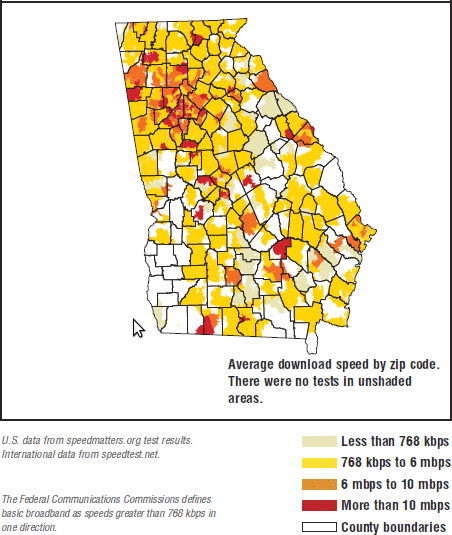 Most of the white area in the Georgia map never had anybody even try a speed test. Most of the rest of south Georgia had really slow access. Which maybe wouldn’t be a problem if we had competitive newspapers (we don’t) or competing TV stations (we don’t). Or if we didn’t need to publish public information like health care details online, as Sanford Bishop (D GA-02) says he plans to do. How many people in his district can even get to it? How many won’t because their link is too slow? How many could but won’t because it costs too much? 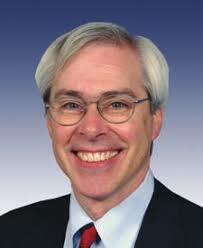 John Barrow (D GA-12) has a fancy flashy home page that most people in his district probably can’t get to. Yet he signed the letter against net neutrality. I prefer an open Internet. How about you? Why did the 73 Democrats sign the letter? Could it have to do with the duopoly making massive campaign contributions to the same Democrats and holding fancy parties for them? The same lobbyists are after Republican members of Congress next. Call your member of Congress and insist on giving the FCC power to enforce net neutrality rules. This entry was posted in BPL, Broadband, Cable, Capacity, Communication, Competition, Corruption, Distributed Participation, Duopoly, Government, Innovation, Internet Access, Internet freedom, Internet History, Internet Speed, Law, Net Neutrality, Opportunity, Politics, Press, Principles, Public Policy, Rural Access, Voting and tagged cable TV, duopoly, facebook, flickr, free press, free speech, GA-02, Georgia, google, innovation, Internet freedom, lobbying, net neutrality, newspaper, press, radio, Sanford Bishop, TV, world wide web, YouTube on June 1, 2010 by John S. Quarterman.